At any given moment we’ve got animals living under our feet – some of them for 17 years at a time. An underground universe populated by mysterious creatures, digging… feeding… emerging. 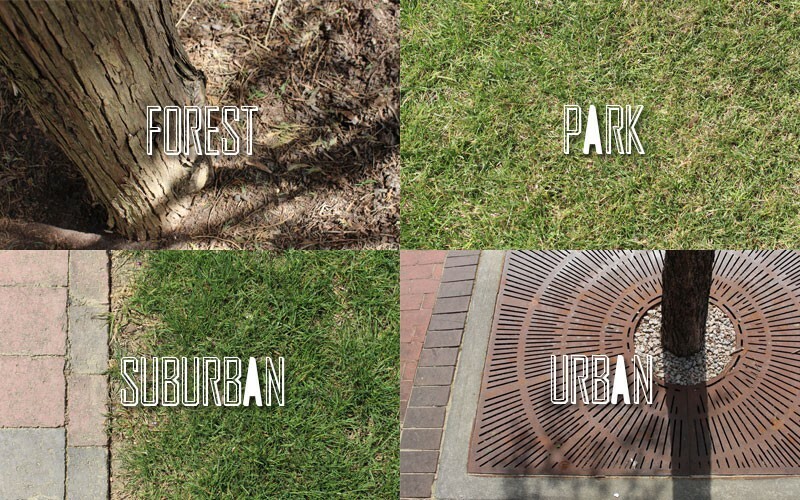 View this the Urban Buzz Project on iNaturalist. Protective plastic container to keep the bugs from getting completely smashed by the antics of the United States Postal Service. 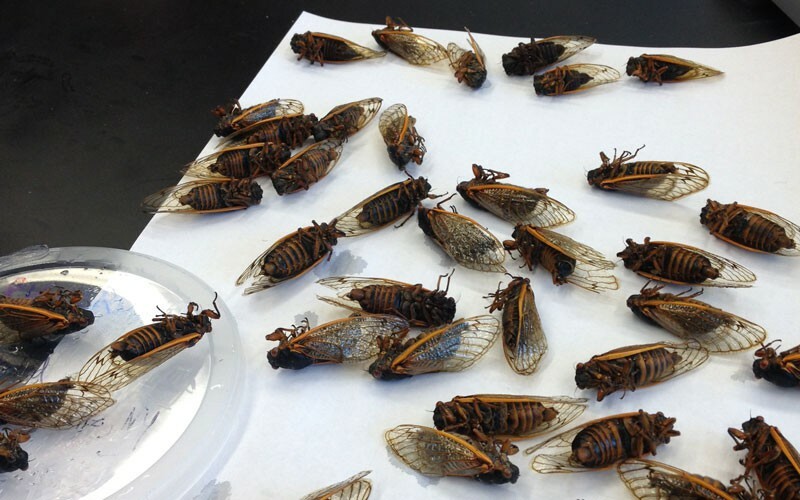 Cicadas can be individually packaged in ziplock bags or plastic containers. 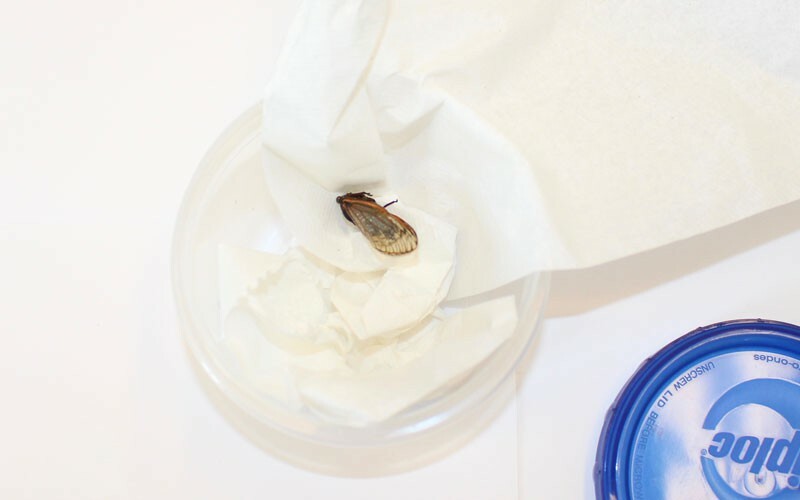 Wrap cicada in 1-2 paper towels to protect it during shipping. Before shipping, PLEASE pop your collection containers in the freezer for 24 hours. Don’t forget to include the data card! 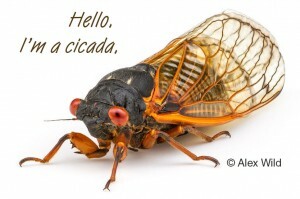 Cicadas are large insects from the order Hemiptera famous for all emerging in massive numbers and making a lot of noise in the summer (some might say, “synchronous emergence and loud courtship calls of the males,” but let’s be real – they’re loud and there’s a lot of them.) 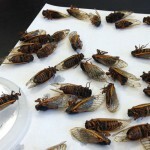 They’re not locusts, please don’t call them that, it enrages the entomologists. They’re also famous for their unusual life cycle, most of it spent underground, which can last a couple of years or over a decade, depending on the species. 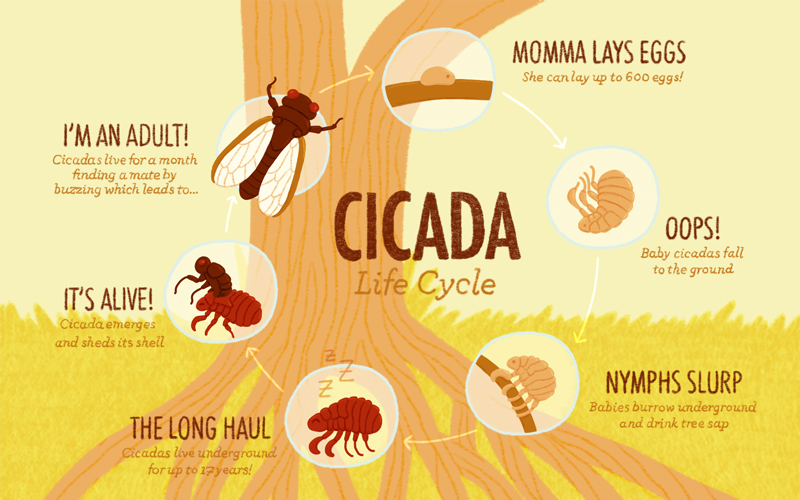 Some cicadas, like those in the North American Magicicada genus, have 13- or 17-year life cycles! 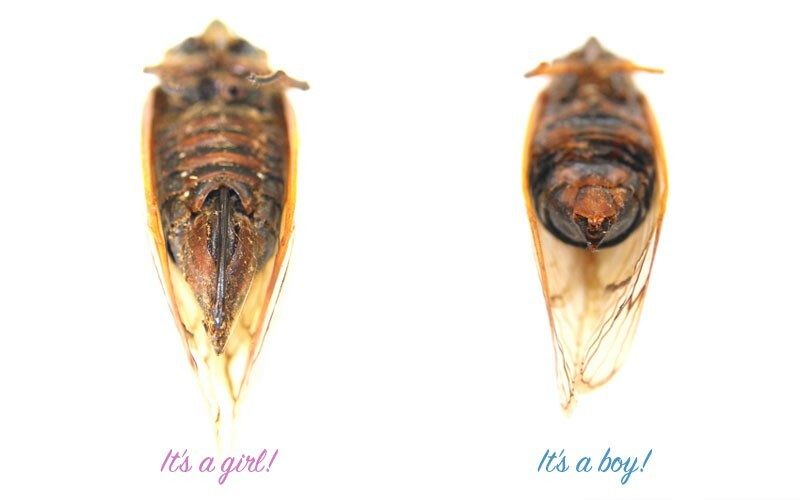 Cicadas are sensitive to changes in their environment, especially temperature and the availability of trees. 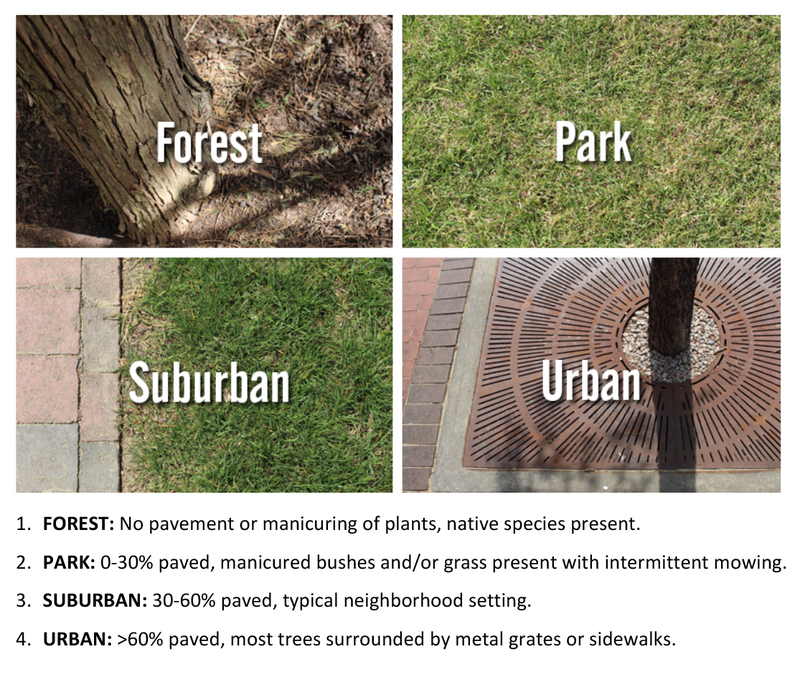 As more people populate the planet… we build cities and homes and those come with roads and sidewalks and pollution. Have you ever noticed that the sidewalk is hotter than the grass? The cicadas noticed that, too. These rising temperatures are sometimes called an “urban heat island” – which sounds like a lovely place to visit, right? 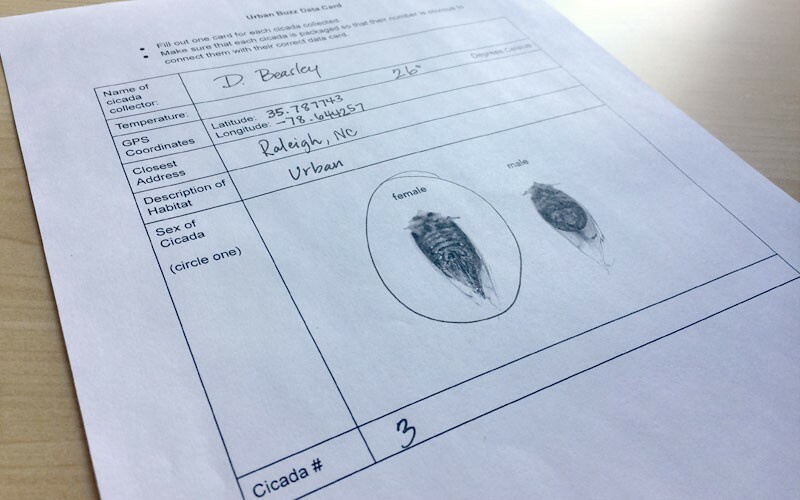 Researchers are studying how cicadas are responding to environmental changes associated with urbanization (humans building more buildings and paving more land) by measuring the wonkiness (“abnormalities and asymmetry”) in cicada wings and legs. 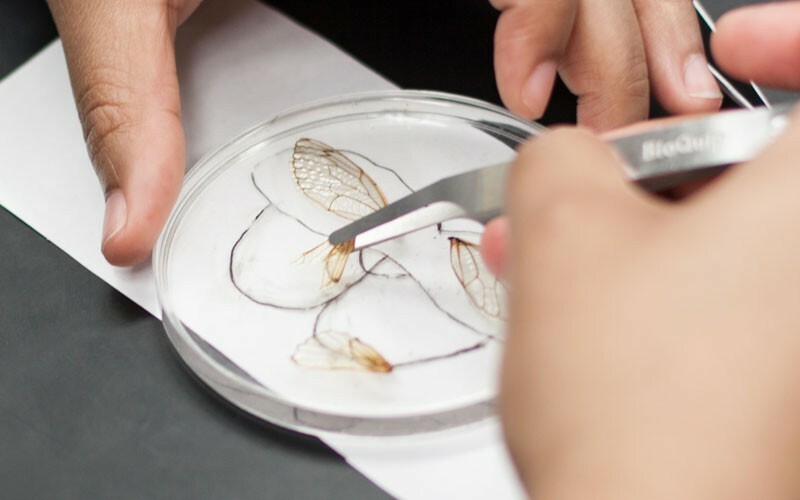 Once cicadas are received in the lab they are first inspected to make sure they are complete specimens and survived their travels through the mail. 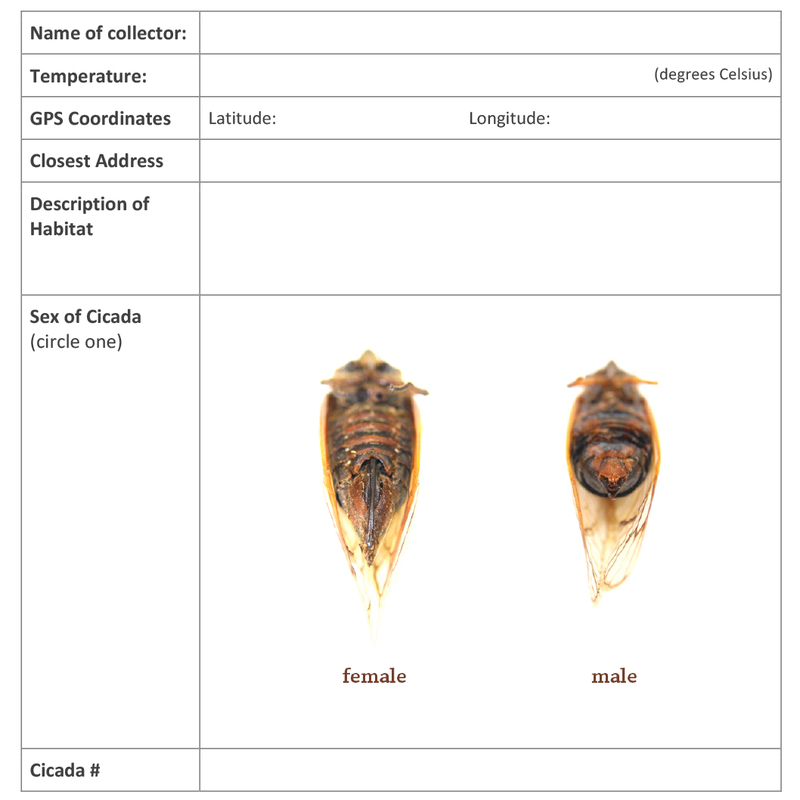 Each specimen is labeled with its collecting information. Photo by Holly Menninger. 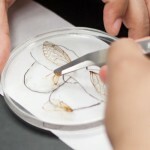 Then a researcher removes and positions the wings in a uniform way for each specimen. Photo by Lauren Nichols. 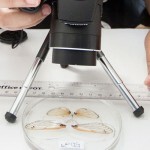 Next a researcher photographs the wings for analysis. Photo by Lauren Nichols. 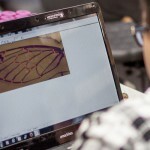 Each vein is marked so wing variation and asymmetry can be measured. Photo by Lauren Nichols. 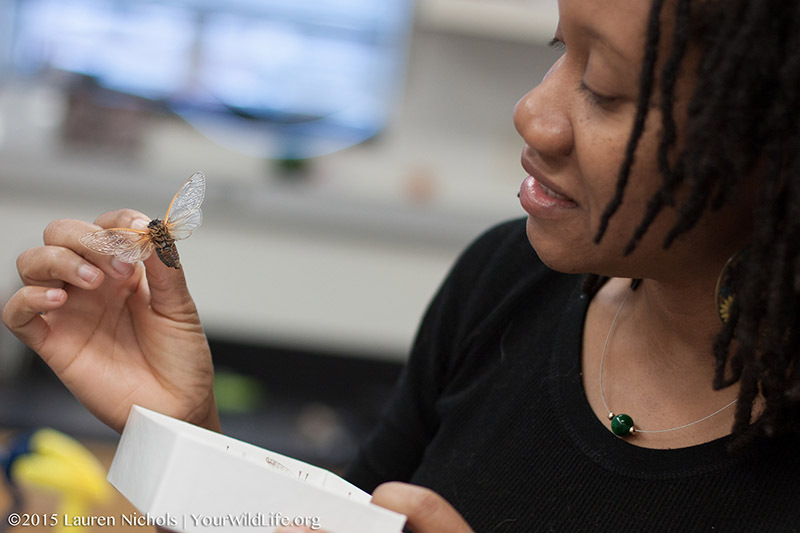 Dr. DeAnna Beasley is an assistant professor in the Biology, Geology and Environmental Science department at the University of Tennessee in Chattanooga. 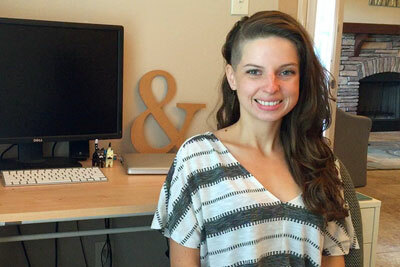 Christine Fleming is an illustrator and writer from North Carolina. She graduated from North Carolina State University with a BFA in Graphic Design, and now writes and illustrates picture books and graphic novels, creates science based illustrations and comics for blogs and magazines, and teaches illustration. 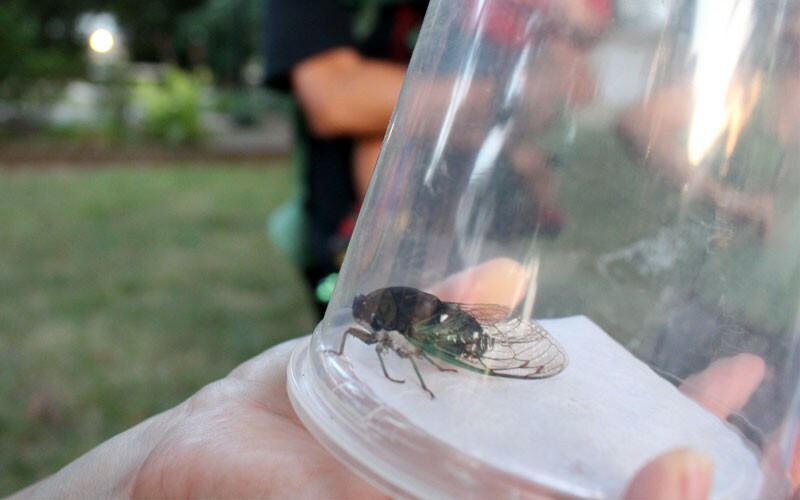 As students collect cicadas, discuss the possible changes in environment that have happened over the course of the last 17 years on the piece of land they’re standing upon. 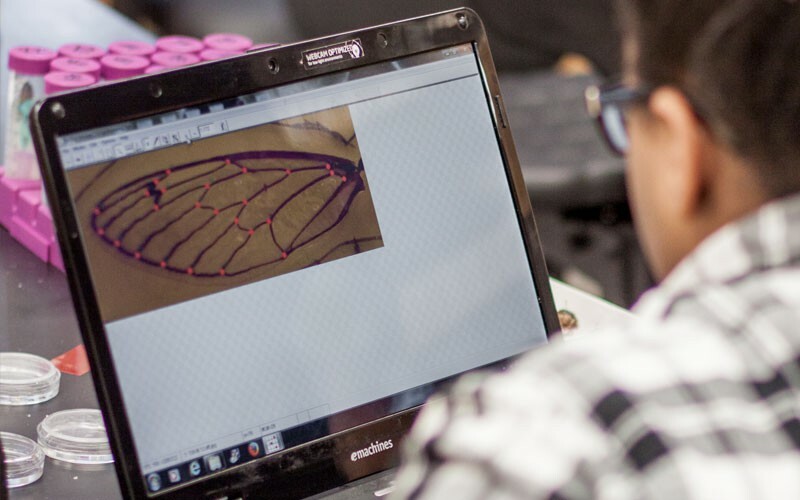 Analyze displays of pictorial data to compare patterns of similarities in the embryological development across multiple species to identify relationships not evident in the fully formed anatomy. 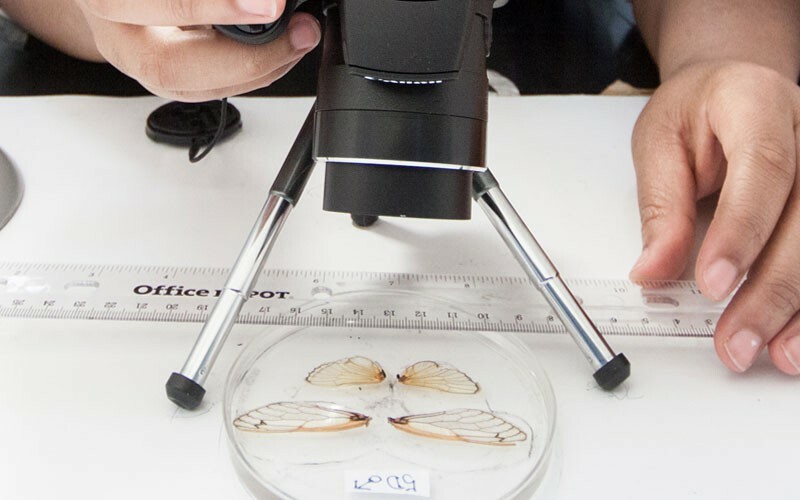 Gather and synthesize information about the technologies that have changed the way humans influence the inheritance of desired traits in organisms.